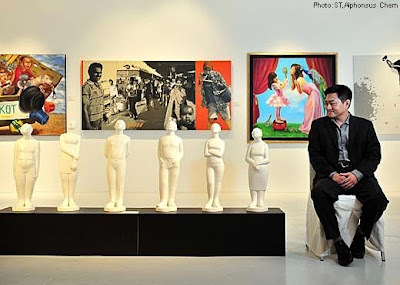 A recent interview of Daniel Komala, CEO of Larasati Auctioneers who oversee the troubled economy and have high hopes for the emerging and growing art market in Asia. One glimmering hope we can see clearly from this interview is his comment, "While Hong Kong is now a diamond market for selling masterpieces, Singapore remains a gold market - and a very good place for selling emerging names, allowing collectors to gamble with a smaller risk." Read more at Plush Asia.